Are you a fashion photographer that works with models and fashion designers to capture amazing styles of the time? You may be working with veteran models who have done many photo shoots and know exactly what they are doing but there is always a chance you could come across a model who is a little more timid that is harder to work with. You will be working with many different personalities and no matter what you want to be sure you capture the model and the fashion that is being featured in the best possible way you can. Today we want to share with you 5 tips that are so important for fashion photography! When you are working with models, you can not be timid. Make sure you show confidence in your work and when you are telling them how to pose and move around. If you are confident, they will be confident and it will make everything work together nicely. If the specific shoot you are doing is showing off a clothing line, make sure that is the focus. Also, it is important to pull together the model and elements of the scene to reflect the style that is being captured. Are you photographing a line for working professionals? If so, make sure that the makeup and accessories are more conservative and not as showy. If the line is more flashy then the other elements can be the same. It is good to keep in mind the audience that will be interested in this type of style and put yourself in their shoes so you can be sure to showcase the style perfectly. You want to make sure you are using poses that are flattering to the model. Stay on top of the latest men's and women's fashion magazines to get an idea of poses that are popular and what looks the best. Whether you are shooting in a studio or doing an outdoor shoot, you want to make sure your lighting is spot on. Using a studio is helpful because it is much easier to control the amount of lighting you need or do not need for the specific type of photos you are trying to take. If you are shooting outdoors, plan to be flexible depending on the whether as well as the time of day so you have the best light possible. Also remember that if you are shooting outdoors or in low light, you may require an extra light source so plan accordingly when you are packing your equipment. The location of your fashion shoot is so important and makes a huge difference. If the clothing line you are shooting is more edgy or provocative, finding a location that has an urban feel would be best. If the line of clothing you are photographing are for spring, it could be perfect to find an open field, beach or garden to capture the beauty of the outdoors. Do you love taking amazing photos but find that you need a little help with the editing part of the process? 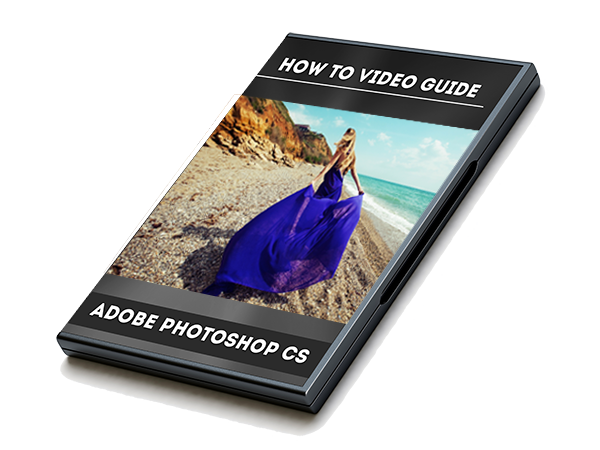 The Beginner's Guide To Using Photoshop CS would be perfect for you! You can get it today for $104.99 (normally $199.99)! Do you prefer to use Lightroom? Here is The Beginner's Guide To Using Lightroom.